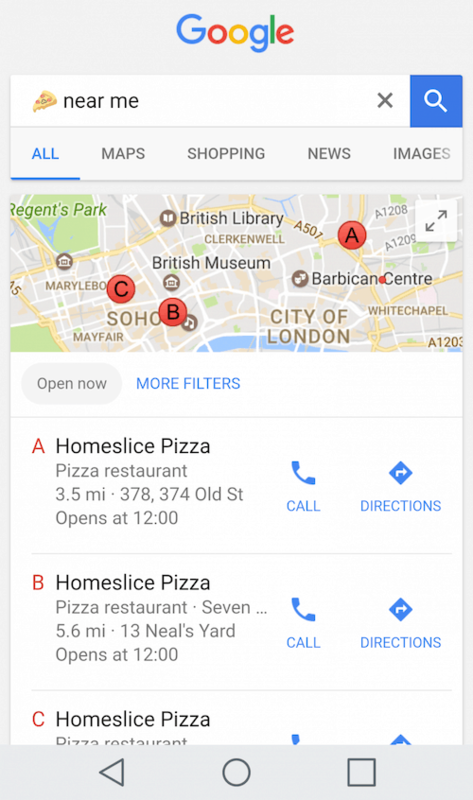 The use of emojis as a Local SEO strategy may seem like a ridiculous idea, but is it? Different search engines have been allowing users to search using emoji, from Bing to Yahoo. The Huffington Post reported that in 2014 Yelp started allowing for emoji search. Also, Google hasn’t been left behind. In 2016, it re-allowed users to search by emoji. Moreover, as the use of emojis grows in importance, you may need more than just an online summarizer for your content strategy, in the coming years. Also, the move by the various search engines shows that they are indexing emojis at a rapid rate, besides recognizing them. The evolution of #emoji #SEO, as #Google starts to index results that are emoji-relevant, on #SERPS, affects your #online visibility. Adweek reported that a significant portion of online consumers use emojis. Moreover, the Generation Z and millennials express themselves comfortably using emojis. As more people become comfortable in expressing themselves using emojis, it will translate into how we use search engines. Many marketers are already jumping on to the Emoji SEO bandwagon. For a small business, in particular, local SEO is essential. As the use of emoji SEO increases, so, does it have a significant impact on the online presence of your business. In 2016, Google launched a campaign where Twitter users would use emoji tweets and Google would respond with a search link and result that was relevant. In this campaign, Google was able to learn more than 200 emoji symbols and relate it to something specific. When using this search technique in a browser, use the emoji of what you are searching for together with ‘near me,’ and it will bring you the relevant results. It is a way for Google to explore options that are user-friendly and convenient, as it switches to mobile-first. Small businesses should, therefore, consider implementing emoji SEO strategies to help them reach their local audience. When you are looking for rephrase paragraph services, it may be tasking to type out the words. The use of emoji in a search makes it more convenient, and it can help the website of your business to stand out. The presence of emoji in a piece of Metadata. It could be in the title tag of your website, or a rich snippet. If Google deems it relevant, it may show up in SERPS. However, it doesn’t mean that just because you have emoji in your title tag, that it will be displayed in SERPS. Search for a particular emoji: as explained earlier, you can search for particular local businesses using the relevant emoji. Say, use a pizza emoji, to get results for local restaurants that have pizza. We have now established that emoji SEO is going to play a significant role in the future of SEO, and should be part of your marketing strategy. The next step is optimizing your site for SERPS, using emoji. Optimize your title tag in a way that an emoji that you use appears in SERPS. You can also do the same to a snippet of your website. You should choose emoji that is relevant to the content. In the same way, you use relevant keywords in your website, don’t stuff them. Using emojis in your page title, domain name, and more will help your business stand out in Google SERPS. It may be true, especially for those in specific industries, e.g., beauty blogs, eCards, fashion, and more. A Google My Business profile has a significant impact on the visibility of your business. You can add a relevant emoji to your business, to help your business gain more exposure if users search using emojis. To rank highly on Google SERPS, user experience and click-through-rates matter. The use of emoji SEO can come in handy when it comes to click-through-rates. It helps you to convey expression and also produce deep emotion. Presently, not many users search using emoji. It, however, doesn’t imply that you needn’t optimize your website for particular emojis. It will help you tune your site for emojis that are relevant to your brand. It will help your site generate a trust factor as users will find your website more relatable. To boost the ranking of your site, especially to the mobile users, you may consider using emojis for common search terms that you are targeting. For your contacts page, you can use a phone character. Include a gift image for the sale page. As for the about page, you can use a character for people. Also, the use of emoji will allow you to leverage the use of emojis depending on the season or holiday. However, the use of emoji is more of a novelty than a search feature that’s thoroughly useful. Though, as more people use their smartphones to access the internet, optimizing your site for emoji SEO could prove helpful. Ensure that your choice of emoji is in line with the content on the page, just as you would get expert summarise articles, a tool to maintain the quality of your content. It should be emotive and of high quality. Refrain from cluttering your site with emojis, as it will make your website seem spammy. You shouldn’t rely on emoji SEO solely to improve the ranking of your site. It will, however, increase the appeal of specific pages and boost the CTR of your website. Afterall, it will improve the visibility of your website on Google and other search engines that allow for emoji searches. Published on June 23, 2018 by Hollie Carroll; modified on June 17, 2018. Filed under: emoji, local business.